If you're looking for a cultural experience and are only able to commit to teaching for a short time then swapping English classes for room, board, and language lessons might be for you. La Paz: The Point Hostel is always looking for cool, outgoing and responsible people who speak a couple of languages and can commit at least a month. They offer competitive wages, a bed, half board (breakfast and lunch), free entrance to the best clubs and discos, and much more. They need hostel managers, bar managers, barmen, and receptionists. Porto Alegre: V. Baumhardt Ensino de Linguas is looking for teachers to teach English for one or two semesters. You'll get free housing, visa assistance, Portuguese lessons, and a small stipend. Santiago: Manhattan English Institute email them on elbajaramillos@hotmail.com (thanks go to dannyboyinchile). They offer free housing and Spanish lessons. Various: English Opens Doors offers home-stay with a Chilean family, meals, health insurance, TEFL training, an online Spanish course and a participation bonus of 60,000CLP for each month of service. Various: Omedia offers English in exchange for Chinese lessons or Taichi. Torguguero: Meybel Hostel and Hostel El Icaco have been known to offer free housing in exchange for English lessons. Prague: Jazykava Contact them op info@jazykava.cz (thanks go to Chris Westergaad). They currently offer inexpensive Czech lessons and are working on a language exchange. Try reading Chris Westergaard's info on teaching in Prague as well. Xela: Don Diego hostel (thanks go to OleLarssen). They offer free housing in exchange for English classes. Due to the low cost of living, more and more people are going to Mexico to retire. Check out Retire in Luxury in Mexico for more info. Chipas: Dunham Institute contact them on academic-coordinator@dunhaminstitute.com. They have a language exchange where you get free housing and Spanish lessons. You must commit at least five months (from August to January or February until July). Arequipa, Cusco, Lima, Mancora, and Puno: The Point Hostel is always looking for cool, outgoing and responsible people who speak a couple of languages and can commit at least a month. They offer competitive wages, a bed, half board (breakfast and lunch), free entrance to the best clubs and discos, and much more. They need hostel managers, bar managers, barmen, and receptionists. Arequipa: In return for working at the La Casa de los Pinguinos Hostel you get room, full board and several excursions (rafting, cycling and Colca Canyon). Working hours: 7.30am - 10am and 4.30pm – 9pm, 6 days a week. During your stay you will work in the front desk and bar. Your main job is to give information to tourists. Requirements: fluent English, basic Spanish, ideally German, and non-smoker. The room has a double bed, cable TV, WiFi and private bathroom. 3-6 months. Chachapoyas: International Language Center contact them on ilc.chachapoyas@gmail.com. You are paid about 200 usd a month to teach 25 hours of English, German, or French a week. Housing is about 50usd a month. Spanish lessons are also available. Email Angel for more information. Huaraz and Lima: Britannia Teachers Peru is an NGO that teaches English to students in the poorer areas of Peru. Contact them on contact@britannia-teachers-peru.com. Piura: I.E.P. Bilingue Brilliant Star in Piura contact them on ashley.pohlmann@gmail.com. They offer free housing, board, and Spanish lessons. You stay for 6 days in a 3-star hotel in Poland (board + lodging paid) in exchange for conversing in English with Polish participants. You need to a native speaker though.More info at Angloville. Various: Pueblo Ingles has 8 day teaching exchanges throughout Spain throughout the year. You'll get free food, accomodations, and a coach ticket back to Madrid. The US State Department has a list of exchange programmes. Phan Thiet: Tri Cong has been said to offer free housing and a stipend in exchange for English classes (thanks go to ajc19810). Peace Boat offers a chance to teach on board as well as visit a number of countries. Volunteer positions last three months. CSIET has comprehensive information about exchanges. 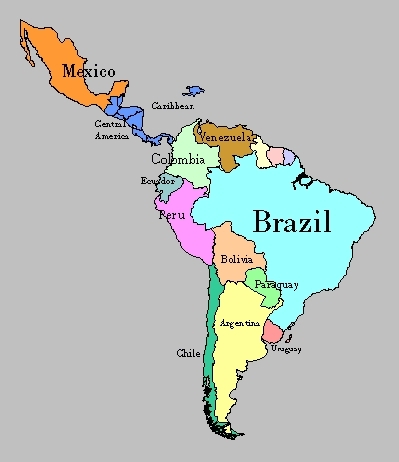 Volunteer South America which has a fantastic list of free and low-cost volunteer opportunities. You can find more info in Volunteer Opportunities for Teachers. If you want to earn some money then summer and winter camps might work for you since you don't have to sign a contract for a long time. If you're an experienced teacher try a teaching exchange.